Mission Trails Regional Park is a magnificent wild kingdom, one of the most cherished natural resources in San Diego. At its doorstep, with trails leading right into the preserve, lies Weston. 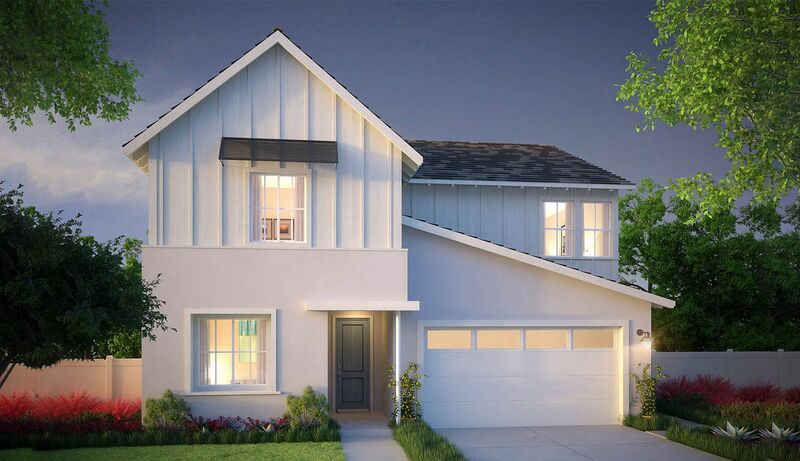 There you’ll find Talus, an enclave of stylish new homes now selling in Santee, designed to celebrate the local scenery and life in the great outdoors. What does that look like? Think Contemporary Spanish architecture—simple, clean design that harmonizes with the landscape. Or there’s new Contemporary Farmhouse architecture that evokes Santee’s pastoral setting and historic agricultural roots. The architecture is nostalgic, but with a modern update inside and out. Homes at Talus range from 2,522 to 2,895 square feet, featuring modern open floor plans and optional California rooms for an indoor-outdoor vibe. For big, extended or growing families, find 4 to 5 bedrooms—plenty of personal space. Because let’s get real: sometimes you need a little privacy. And at other times, you need togetherness. The kind families find tackling a tough mountain biking trail together or fishing for bluegill at Santee Lakes. The kind of togetherness that neighbors create during backyard barbecues. Togetherness exists between home and landscape at Talus thanks to features like LivingSmart, helping home tread lightly upon the environment. Located in easy proximity to high-performing schools, shopping, and the 125, 52 and 67 freeways, Talus can help you tackle the daily grind. That means there’s more time to enjoy Weston’s 95 acres of protected open space and the future five-acre public park. It’s a natural environment to live and thrive. Ready to welcome you home. Discover new luxury living at Talus, from the low $700,000s to $800,000s.